“We need Mozart the same way we need breakfast and every morning, to start the day, we need a shower. Mozart is exceptionally important for the orchestra, as well as for the singers and for every human being”, said the German conductor Erich Wächter at the meeting at the Sofia Opera on the occasion of the upcoming premiere of the opera “Don Giovanni” by Mozart. He was invited by Academician Plamen Kartaloff at our National theatre in 2011 and directed the orchestra in the large-scale project with Richard Wagner’s tetralogy “Der Ring des Nibelungen”. His first question to Maestro Kartaloff then was: “When shall we produce Mozart? When for the last time have you produced Mozart?”. For a long time at the Sofia Opera and Ballet was not produced an opera by Mozart, but now are upcoming other works by the genial composer too. 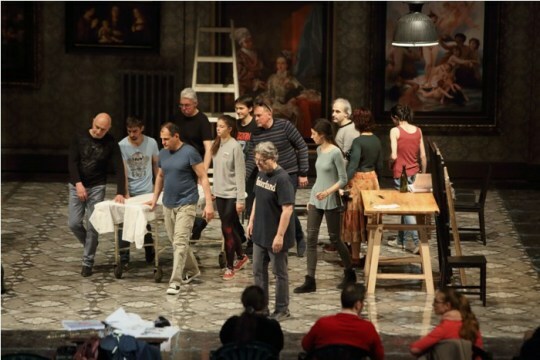 By tradition, Plamen Kartaloff presented the production team days before the premiere of “Don Giovanni” on 18, 19, 20 and 21 April. 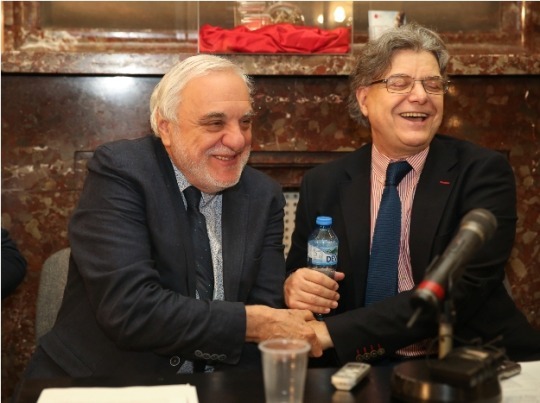 “After a series of new productions “Don Pasquale” by Donizetti, “Il trovatore” by Verdi, “A Legend of the Lake” to Pancho Vladigerov’s music, 2019 we shall continue with the same dynamics, with which we saw off the previous year with two other premieres”, said Academician Kartaloff. He presented his colleagues and eminent artists with international authority and career – the conductor Erich Wächter, who everyone knows from his work on Richard Wagner’s entire “Ring des Nibelungen”, “Aida” by Verdi and many other productions; the loved by the Bulgarian audience stage director and designer Maestro Hugo de Ana, who produced on the stage of Sofia Opera “Aida” by Verdi, “Samson et Dalila” by Saint-Saëns, “Norma” by Bellini and now is again by us. “Here are also our soloists – in the role of Don Giovanni we have two performers – Vito Priante and Petar Naydenov, Donna Anna we have entrusted to two performers – Radostina Nikolaeva and Tsvetana Bandalovska, Don Ottavio – to Daniel Ostretsov, Hrisimir Damyanov and Juan Francisco Gatell, Il Commendatore – Angel Hristov, Donna Elvira – Gabriela Georgieva and Lilia Kehayova, Leporello – Andrea Concetti and Petar Buchkov and others. A big cast of double and triple performers among the best with international cast. 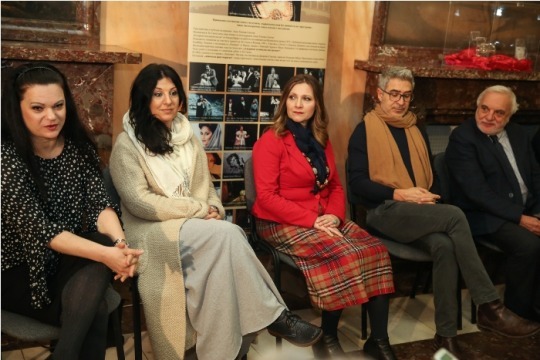 Upcoming is an exciting event, one new concept of “Don Giovanni” of the stage director Hugo de Ana”, emphasized with confidence Plamen Kartaloff. from all fields of art is Don Juan. He has become a personage of a huge number works of art – operas, ballets, operettas, dramas, comedies, novels, poems, paintings, sculpture figures, symphonic works. For the first time the legend of the tireless adventurer and conqueror of woman’s hearts found place as plot of a stage work in the play “The Trickster of Seville” (1630) by the Spanish playwright Tirso de Molina. After him writers, among which Molière, Goldoni, Hoffmann, Byron, Mérimée and Pushkin, composers like Gluck, Dargomyzhsky and Richard Strauss created works on the same plot. One of the most significant from them remains Mozart’s opera. In January 1787, Mozart departed with his wife to Prague for a holiday by his friend and big admirer Count Thun. There the director of the Prague theatre Bondini offered to the composer to write an opera for a consideration of hundred ducats. Mozart accepted the offer and turned to the court librettist Lorenzo Da Ponte, with whom he had already worked on “Le nozze di Figaro”. The poet quickly wrote the libretto and in May the same year the composer started working on the music of “Don Giovanni”. About the speed, with which this opera was finished, legends are told. One of them is that Mozart wrote the wonderful overture in the day of the premiere – on 29 October 1787 in Prague. The spectacle had an incredibly great success. Next year the opera was presented in Vienna, at that for the Austrian production Mozart made some revisions in the scores. The opera “Don Giovanni” is one of the tops in the artistic achievements of the genial composer. Mozart’s third opera with librettist Lorenzo Da Ponte is “Così fan tutte” /“Women are like that”/. For the first time the opera “Don Giovanni” was produced at the Sofia Opera in 1930 under the baton of the German conductor Hermann Stange. In June 2003 was the premiere of the opera with stage director Bina Haralampieva. Then the quite young Radostina Nikolaeva was in the role of Donna Anna, and Don Giovanni was Yulian Konstantinov. And now after 16 years there is again a premiere of the celebrated opera. Mozart is a medicine for the voice. About her preparation for the part of Donna Anna together with Maestra Sintow, Radostina Nikolaeva told: “I have no words to express what was for us our work with Anna Tomowa-Sintow. I had the luck in 2006 in Stara Zagora to get acquainted for the first time with her and to touch myself to her art regarding Mozart, regarding Donna Anna. Now after so many years, we rediscovered each other, and I rediscovered this wonderful personage of Donna Anna, which is exceptionally challenging as performance and as interpretation. Anna Tomowa-Sintow is an incredible performer, incredible person. It was a great pleasure to be led by her in this style of Mozart. It is really a great challenge, because it requires big self-control, concentration and she in a natural, human, warm, motherly way familiarized us to Mozart’s art.” It is curious that still as a third-year student at the Academy of Music Radostina debuted in 1998 at the Ruse Opera namely in “Don Giovanni”, but as Donna Elvira. 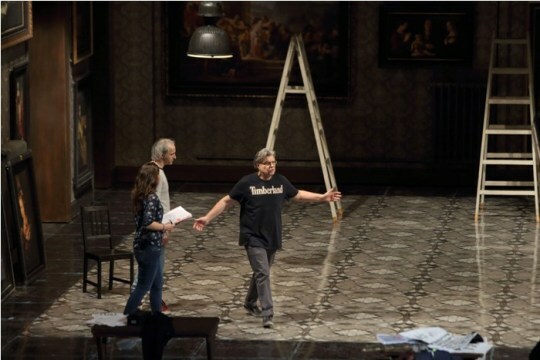 “Don Giovanni” is a powerful opera, a genial one. It is very complicated to select the colours, because everything happens in the night. This is one endless opera in some way or another. It is comic, as well as dramatic, and it has also connection with the supernatural – mixed all together in only one spectacle. It is not possible to make it with one single common vision of the atmosphere. In the most complicated work, which one meets and it has to be done, is namely the work with the singers, who are actors. It is very important for them to be characters, who are able to experience all these situations and at that to sing and move in all these theatrical styles. In a certain moment, even, this opera is exceptionally modern, not only in its structure, but also because of the conflict. Let’s not forget that this opera has not only music, but also many literary and philosophical interpretations, which gives rise to a sort of research, which is made around this opera. This must be the starting point, when it is to be staged. For one stage director there are many possibilities to make it. The more one researches, the more one goes ahead and you feel that you are so unable to make it. It is not only me, who says so, but many great stage directors too. This is very important. It is such a genial opera, complex, monolithic and one doesn’t know from where to begin to make it for the stage. We cannot become Michelangelo, but we can do what is perfect in it, according to our possibilities and talent. I regret very much, but we are limited in our black and white.” His words were received with laughter and applauses. “The team is working for a long time on this masterpiece by Mozart. One of the serious policies of our theatre and of the management is to discover and give chance to young artists, to young names, to new voices. Otherwise how will there be a succession, a tradition, when we don’t start from somewhere. 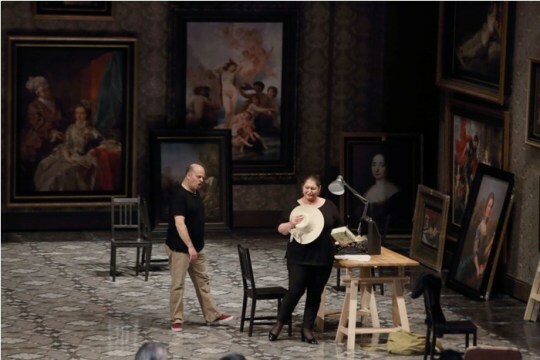 Together with “Don Giovanni” already have begun the rehearsals of the opera “Apollo et Hyacinthus”, one of Mozart’s early ones /premiere on 16 May/. On the small stage with youngest artists you will see one more masterpiece by the young Mozart. All these colleagues, who are present here, are already from our theatre’s first forces, but we have also debutants. Since last season here debuted a series of young artists, who I specially invited for “Yana’s Nine Brothers” by Lyubomir Pipkov and all the “brothers” at the moment have central roles. This was the task. The young singers at the Sofia Opera – they are already too much, and all of them grow, of course, more and more new forces must come. We have a special care for the young generation and not only for the opera artists, but also for the ballet artists and for the young members of the orchestra. 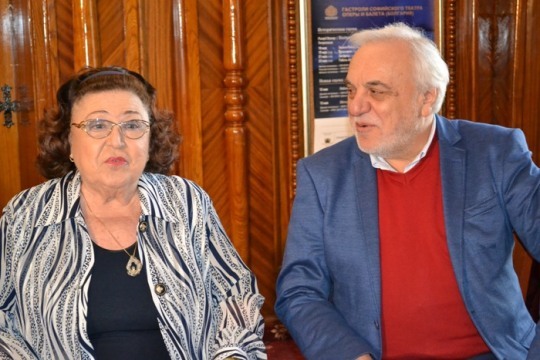 We have responsibility to the generation of young artists on the stage of the Sofia Opera.” Plamen Kartaloff gave only a hint about the upcoming summer festivals, in which there is already a big interest, and about a production again of Wagner “Tristan und Isolde” with the participation of the magnificent Radostina Nikolaeva and Tsvetana Bandalovska.